At Aesthetic Solutions, we provide only the highest quality instruments & machines on the market, and offer continued support for our valued customers. The SmartGraft hair restoration machine uses FUE technology that is complemented by specialized tools including high resolution digital monitoring and advanced harvesting mechanisms. SmartGraft was developed by physicians, medical scientists and engineers. This profitable machine can be supported by trained and certified technicians who can complete the procedure. 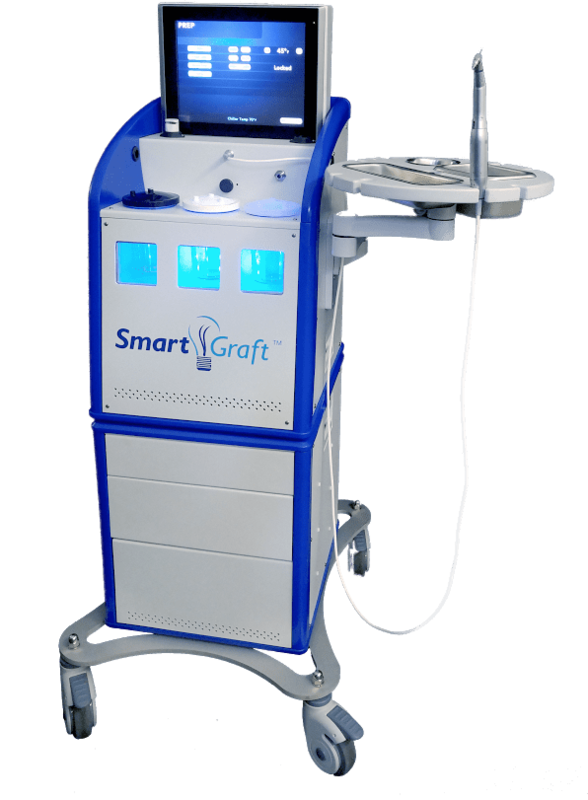 SmartGraft is a completely closed automated graft harvesting platform with an environmentally controlled holding system. This holding system preserves the graft for increased graft viability. SmartGraft uses punch technology for a minimally invasive procedure and virtually no discomfort.